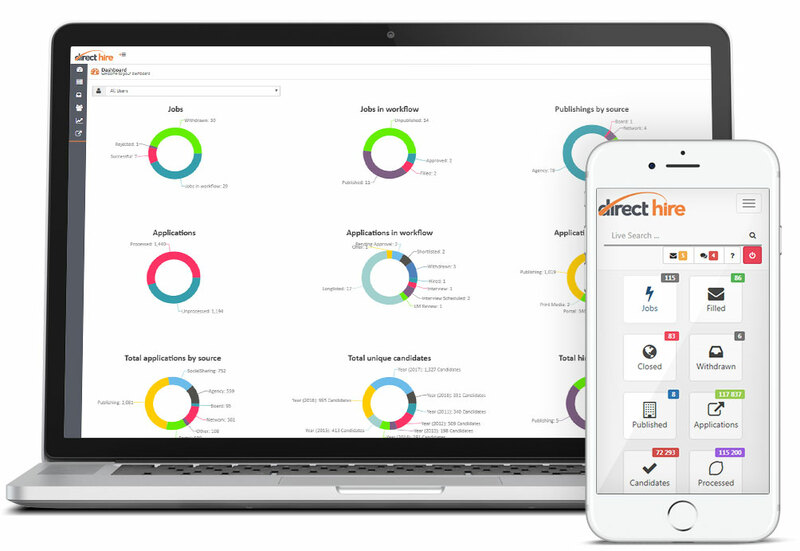 Direct Hire Recruitment Software is the ultimate applicant tracking system, candidate sourcing and recruitment management tool, all rolled into one. Sourcing and hiring top talent in a fast, efficient and compliant manner is crucial for your business. 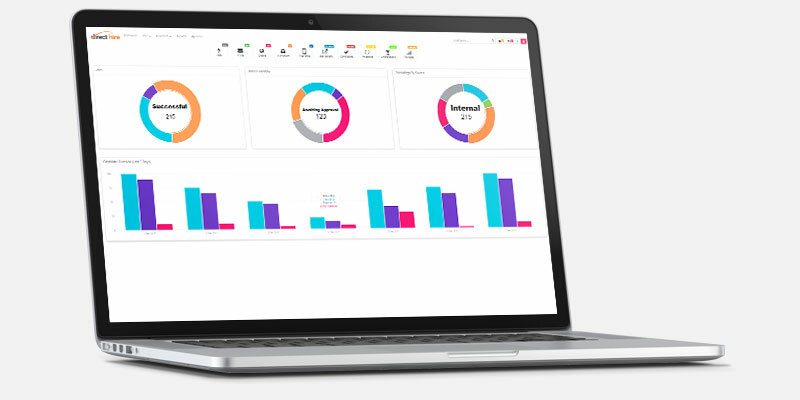 Direct Hire Recruitment Software makes recruitment simple and will improve your organisations recruitment performance. Direct Hire is online cloud hosted HR recruitment software that makes recruitment simple. Direct Hire will automate your recruitment processes, allowing you to recruit faster, more efficiently for less. Process vacancy approvals, match candidates to jobs, track progress & More. Post job ads and status updates to Twitter, LinkedIn and Facebook. Online videos & training tutorials make learning a breeze. Powerful, intuitive search lets you find things in a flash. Direct Hire is fully mobile enabled allowing recruiters and candidates to interact with each other wherever whenever. A dedicated support team at your fingertips that has unparalleled experience in solving real world recruitment challenges.